Most people add herbs to their food but it's only lately that herbs have come into play in cocktails in a big way. 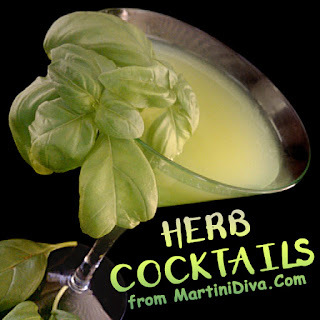 Herbs add not only flavor to a cocktail, they add nutrients, especially if you are using fresh herbs from your own garden like I do. AND THE HERB INFUSED BOOZE! These are just a few of the ways herbs can be incorporated into your happy hour. Try adding a favorite herb to a favorite classic cocktail - use the same flavor profiles you would when cooking. You'll be surprised at the depth of flavors you can achieve! Now go forth and Muddle, Slap, Twist, Pinch and Infuse Away!